aggregates over $200 when added to other contributions received from the same source during the election cycle. The committee reports the contribution from an individual, in this case from Nellie Custis, on Schedule A, supporting Line 11(a)(i). It includes the name, mailing address, employer, and occupation of the individual. 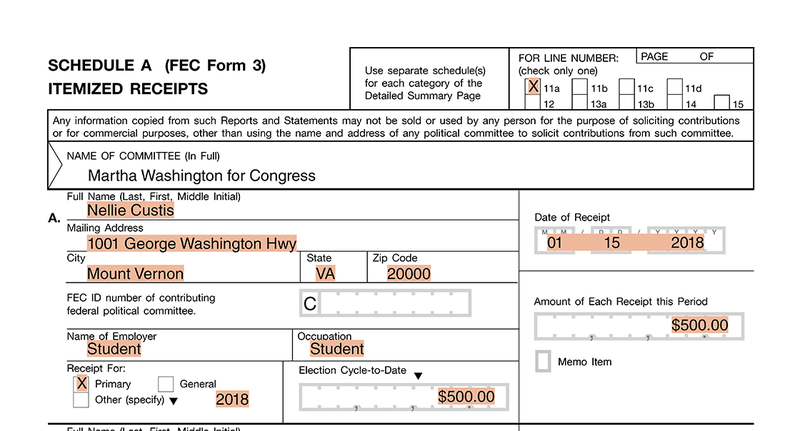 It also includes the date of receipt, amount of receipt, election designation, and aggregate election cycle-to-date total for the contributor.